Courtesy of Oscar Rubio, Noli, Italy. 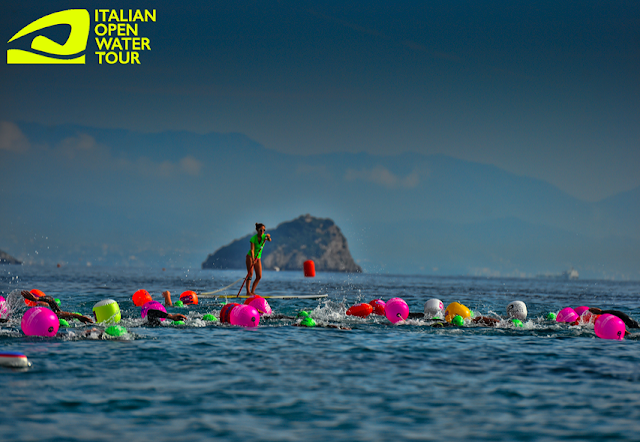 Last weekend, Noli was the site of last stage on the Open Water World Tour. 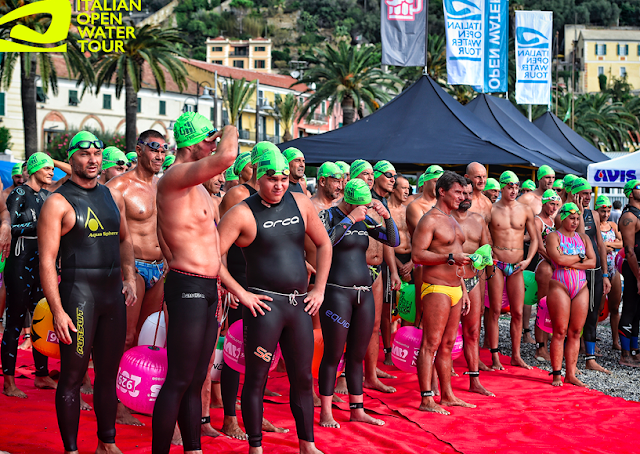 Over 500 swimmers from all other Europea gathered in Noli, Italy for the final race of the Italian Open Water Tour Challenge 2018. It was a colorful event. 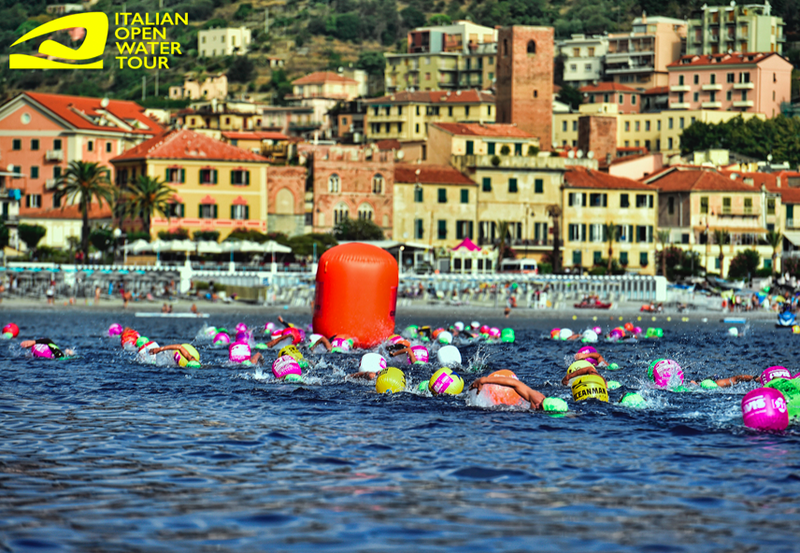 A rainbow effect was enabled by the multi-colored buoys on the 5 km Hard Swim course that was won by Giacomo Simeoni and Jane Hoag, the European pool record holder on 400 meters and 800 meters. The pair dominated the race from the start to finish line. The final event of the Open Water World Tour will be on October 5th - 7th in Greece at the Spetses mini Marathon. For more information, visit www.openwaterworldtour.com. The full rankings are posted here.